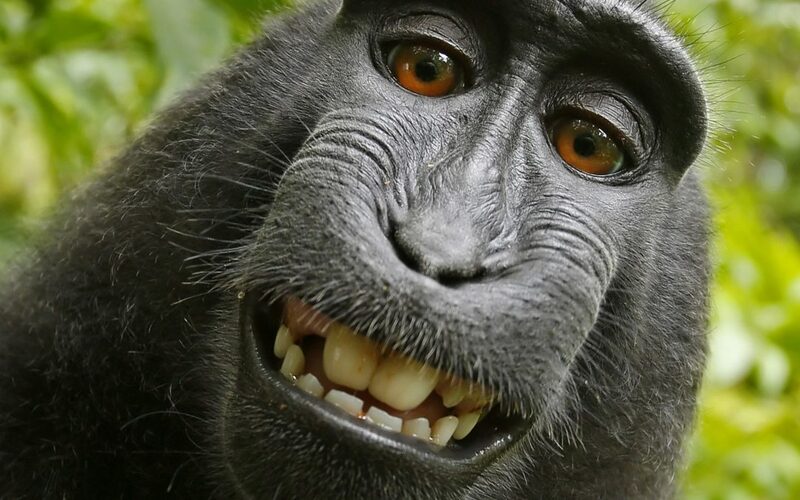 It makes for an interesting legal issue, but are we missing more subtle revelations of the monkey’s selfie? The monkey was mesmerized by her own reflection in the camera’s lens, presumably thinking that she was gazing into the eyes of another monkey. So why is the monkey flashing such an endearing smile? As an expert in the science of influence, I study the subtle factors that have deep impact. Your smile is one of those subtle gestures which holds significant power for you to create good feelings and to predispose people to like you. So, when you first meet someone in business, remember to smile. It triggers an unconscious positive reaction in the other person, and you’ll usually get a smile in return. If you have doubt as to the power of the smile, consider the social impact of the engaging smile of this Indonesian monkey – her smile has charmed millions of people around the world and has become the catalyst for reexamining our legal system regarding intellectual property rights. Now that’s an influential smile!